Dr. Jimmy Sites is a professional speaker, best-selling author, and award-winning television producer and host. In the last 28 months, Jimmy spoke live to over 130,000 people in venues ranging from small to large, sharing the message of God’s beautiful grace. Jimmy’s doctorate is in biblical communications, and he has taught on the university and graduate school level and served as a preaching minister for several churches. 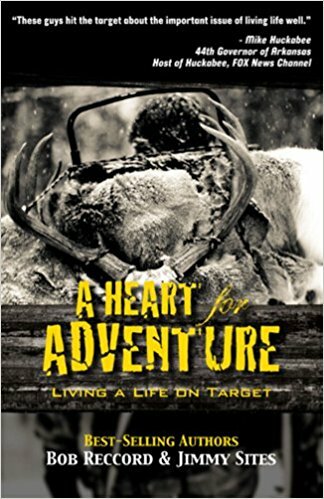 His current television series, Spiritual Outdoor Adventures with Jimmy Sites, has garnered numerous awards and is entering its 17th season on the air on Dish Network and DirecTV and other networks. It also airs in 54 additional countries including Russia, Ukraine, and Ecuador. In 2010, Jimmy and his team won the Big Buck Outdoor Games, competing against the top 20 outdoor television producers from across the United States. In 2012, Jimmy became a cartoon character in “Kids Korner Outdoors with Jimmy Sites,” and 27 cartoons have been produced teaching children ages 4-12 the various safety measures and ethics related to outdoor sports. In 2014, Jimmy was named American Outdoor Sportsman of the Year by the Legends of the Outdoors Hall of Fame, and in August 2018, he will be inducted into this Hall of Fame. His speaking engagements and adventures take him all over the world, including filming a documentary with a Stone Age Indian tribe in the Amazon Jungle with missionary Steve Saint. 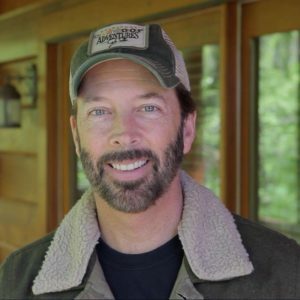 Jimmy is a strong advocate of conservation, and he has been interviewed on many radio and television talk shows including Fox News with Gretchen Carlson, and on multiple occasions by MSNBC. Jimmy also serves as a spokesperson for several non-profit organizations, including 30 years for Compassion International – a child development organization that cares for over 1.5 million children in 26 Third World countries. In 2015, Jimmy began writing country music songs and has had 6 songs recorded by artists, including “Enough Left for Tonight” co-written with songwriter-of-the-year Jimmy Yeary (“I Drive Your Truck”) and recorded by the Henningsens. His latest song recorded by an artist was written about his father Carroll Sites and is called “Wedding Day” – in reference to his father’s passing from earth to heaven. This song is scheduled to be released to radio this year and was recorded by Bobby and Teddie Cyrus. Jimmy writes and records the majority of the music for his television shows. He is married to Amanda Mullens (married May 1984), and they have two biological children, Christin (born August 1989) and Jonathan (born January 1992). Jimmy and Amanda also offered their home to 18-year-old Mary Kirby, and she lived with the Sites family until she married at the age of 23. Jimmy and Amanda live in a log lodge on the edge of a wooded hollow just north of Nashville, Tennessee. Their home church is the Northfield Church in Gallatin, Tennessee, where Jimmy teaches a weekly Bible class, helps with the men’s ministry, and leads an in-home LIFE group.